Located at 105 Norfolk Street is one of New York City's most unique pieces of architecture. Designed by world renowned architect Bernard Tschumi, Blue Condominium has become one of the top properties in New York City. 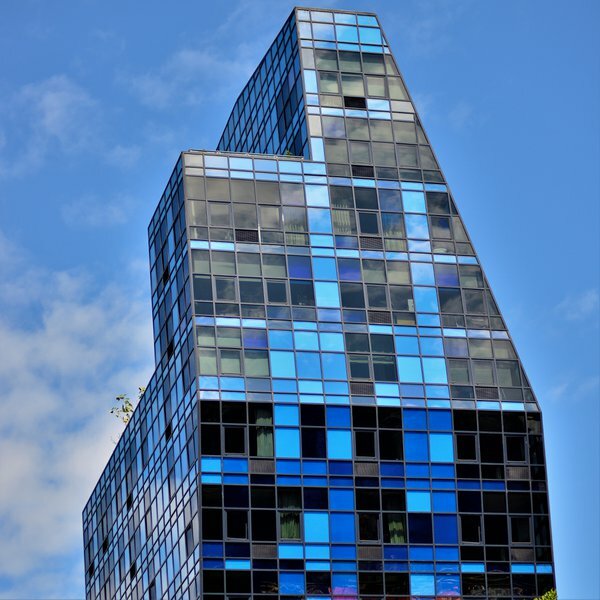 From the dazzling blue exterior to the exquisitely juxtaposed luxury and sustainability, Blue Condominium is a first-rate example of the rising popularity of NYC's Lower East Side. Blue Condominium's most notable feature is, of course, that eye-catching, sculptural exterior. But venture inside and the apartments themselves are equally beautiful. Balancing an edgy architectural sense and an array of highly sustainable finishes, the condos at Blue match the astonishing exterior point for point. The floor to ceiling energy efficient windows, bamboo floors, and a host of other sustainable finishes prove that sustainable living can be luxurious. Gourmet kitchens fully stocked with appliances from Viking and Bosch offer unparalleled comfort while windowed baths with pebble floors, marble counters, and radiant heating make for a cozy living experience that few other condos can match. There are a number of surprising features to Blue's condos too, select condos offer private terraces and even outdoor showers. Last, but certainly not least, Blue's 16 floors tower over the Lower East Side, affording gorgeous views of New York City from every single condo. All of this contemporary bliss, from the futuristic exterior to the convenient interiors, is complemented even further by the amazing amenities that come with condos at Blue Condominium. The serene public plaza and distinguished 24 hour attended lobby make Blue Condominium an integral part of the Lower East Side. In addition residents can enjoy the complimentary concierge service and the ample storage, including spaces for bikes and a cold room for grocery deliveries. Blue Condominium's prime location at 105 Norfolk Street is the cherry on top. 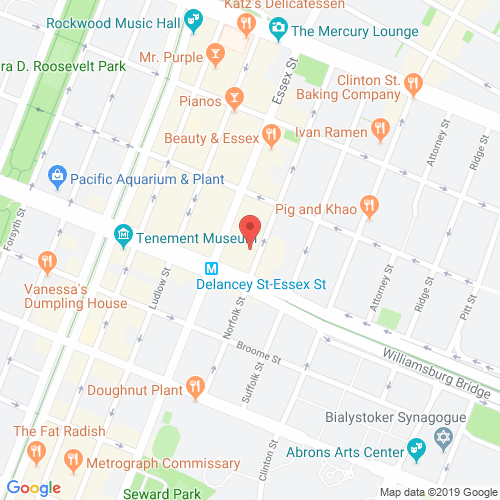 Mere steps away from the subway and the best of New York City's finest dining, shopping, and nightlife destinations, Blue Condominium is proof positive of the magnificence of the Lower East Side. bluecondominiumnyc.com has no association or affiliation to the building, developer, or management company. By submitting your contact details you agree to be connected with a licensed real estate professional who has been deemed to be a specialist in this building and/or neighborhood. Blue Condominium 2010-2019. All rights reserved.